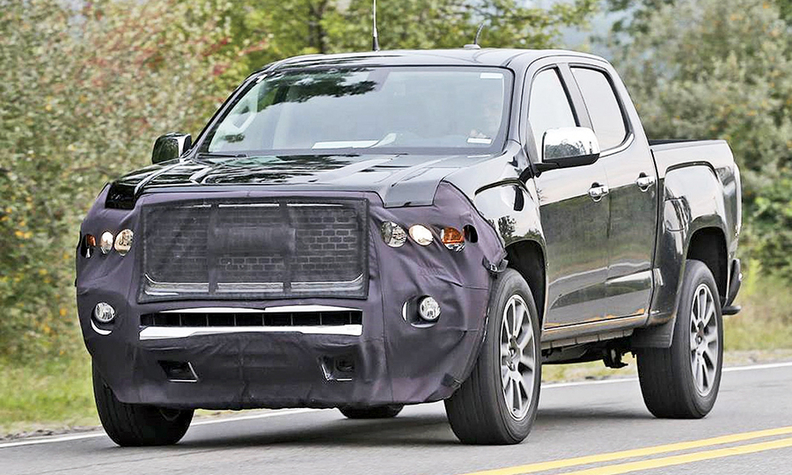 MC has been testing a Denali version of its Canyon midsize pickup. Spy photos show a Canyon with a revised, partially covered front fascia that features a wide, honeycomb grille outlined by chrome -- signature cues of the brand's upscale Denali line. The photos show a black grille, however, unlike the chrome-laden snout featured on most Denali models. GMC chief Duncan Aldred told Automotive News last year that a Denali version of the Canyon was in the works.